The rosemary flowers positively glowed this year. They caught my eye like never before as I visited yards, landscaped parks, and even the State Capitol grounds. Down on my hands and knees, I explored their tiny bluish flowers with intricate spots, their needle-like leaves, their spicy invigorating fragrance. I use rosemary almost daily and I thought I understood all of its virtues. Yet when it captivated my full attention this year, I realized it was time to delve deeper. In studying rosemary, I have immersed myself in the rich history of plants and people working in partnership. Few plants have bedazzled the world with such flare, shaping the fate of nations through trade, food preservation, culinary arts and medicine. Identifying Rosemary: This perennial evergreen herb is native to the Mediterranean region including France, Spain, Portugal, Tunisia and Morocco. 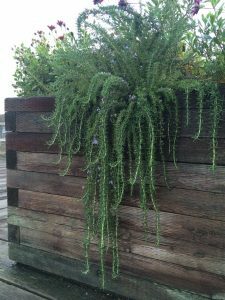 It thrives in coastal areas – hence its name Rosemarinus or “dew of the sea.” Some varieties are small, creeping plants growing under a foot tall while others are erect bushes growing to six feet tall. Needle-like leaves are oriented opposite each other along the stem and are shiny on top and silvery below. Tiny flowers are less than ½-inch and can be purple, blue, pink or white. They bloom in March through July depending on the climate. Rosemary is in the mint or lamiaceae family, which includes other important medicinal herbs like mint, sage, basil, thyme, marjoram and lavender. Growing Rosemary: Rosemary prefers warm dry weather with full sun and well-drained soil. It can be challenging to grow upright bushy varieties in cold Northern areas. The ‘Arp’ variety is frost hearty, and shorter creeping rosemary plants are better equipped for the cold. Ask your local nursery for recommendations. You can also grow rosemary in a pot and bring it inside during cold months. Make sure not to overwater rosemary, but if you are growing it inside a dry house, you may want to spritz the plant with water occasionally. You can start rosemary plants from seed, but I recommend buying a potted start so you can harvest from in the first year. Its money well spent! We harvest rosemary throughout the year. I often send my 6-year-old out to pick a sprig or two for dinner. You can cut it with scissors or simply break off a sprig. I dry rosemary leaves for tea just before they flower, usually in May when volatile oils are highest. But if I miss that short opportunity or run out, the plant can be harvested for drying any time. Bundle 4-6 sprigs with a rubber band and hang in a dry place out of direct light. When the leaves are dry, strip the them off the stem and store in a cool dark place in a jar or bag. They should retain their color and vibrant smell. 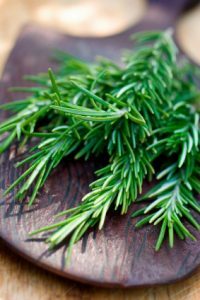 Rosemary can be utilized as medicine in many ways including eating it fresh or dried, drinking the dried herb as tea, and infusing it fresh or dried in vinegar, honey, wine, or liquor. Rosemary tincture is prepared by using 1 part fresh rosemary by weight to 2 parts vodka by volume, or 1 part dried rosemary by weight to 5 parts vodka by volume. The medicinal dosage is 2-4 droppers 3 times a day. Human fascination with rosemary dates back to antiquity, from ancient Persian and Greek medical texts to the poetic works of Shakespeare. It is called “the herb of remembrance” for its ability to strengthen memory and a sense of clarity. Rosemary was a sacred herb to Venus and Aphrodite, ancient goddesses that rose from the sea. In Europe and the Middle East, rosemary was utilized at both weddings to bestow good luck, friendship and joy. 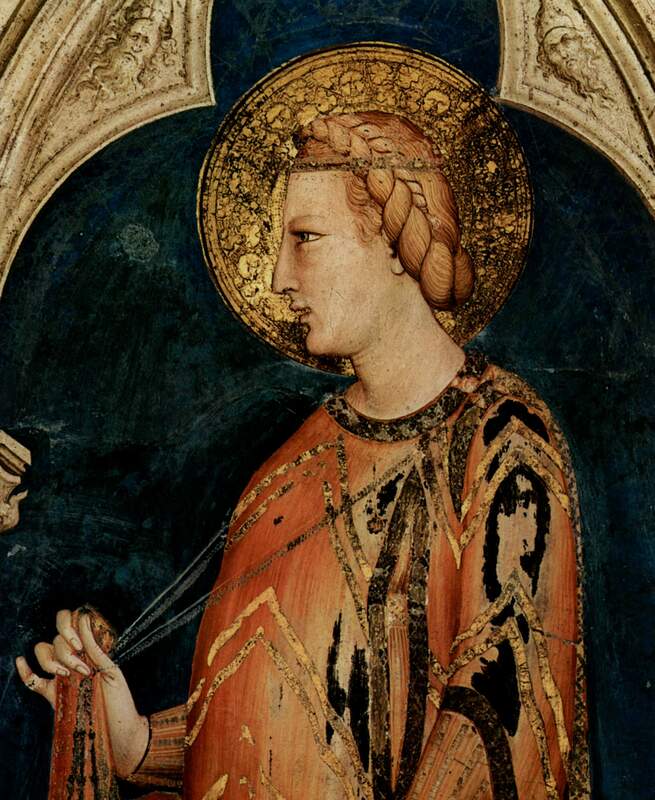 Kings and emperors had it woven into their crowns. At funerals, it was thought to ease the sad memories of mourners and to bestow protection and clarity upon those present. 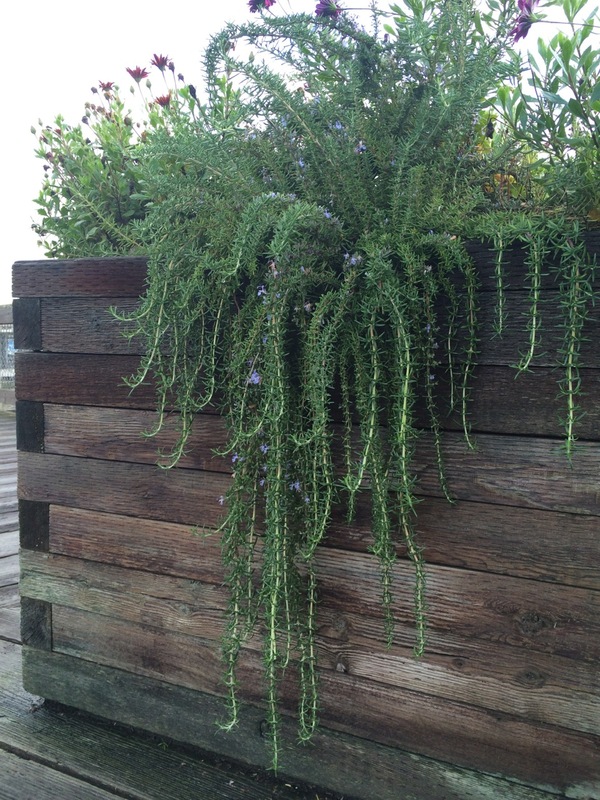 After thousands of years in the limelight, rosemary still has not fallen out of fashion. It is prominent in body care products, haute cuisine and current medical scientific studies on some of the most pernicious modern diseases including cancer, arthritis, heart disease and Alzheimer’s. Rosemary is one of our most versatile culinary herbs. I regularly add fresh or dried rosemary to soups, salads, sauces, fish, cooked meats, grilled or sautéed vegetables and my favorite, mashed potatoes. It couples well with both sweet and savory dishes. In The Herbal Kitchen, chef Jerry Traunfeld shares two delicious desserts featuring rosemary: Warm Maple Rosemary Banana Splits and Pear Rosemary Upside Down Cake. I was dubious at first, but have been delighted to discover that rosemary pairs well with fruit, chocolate and caramel flavors. For a Bananas Foster-like sundae, place 2-3 peeled ripe bananas that are cut lengthwise in a skillet. Tuck a few rosemary sprigs between the bananas and drizzle ¼ cup of maple syrup over the top. Bring to a boil and cook until the bananas are soft, then flip them over and continue cooking for about a minute. Remove the bananas and reduce the sauce for a minute. Let it cool for a moment, then place the bananas and sauce over vanilla ice cream with some chopped nuts. It is fast and easy, and will surely please your palate. Rosemary is delicious in teas and cocktails. A sprig of rosemary is an artful addition to gin and tonics and martinis. Bitter drinks such as negronis and sweet drinks like lemon drops are enhanced with a sprig of muddled rosemary. 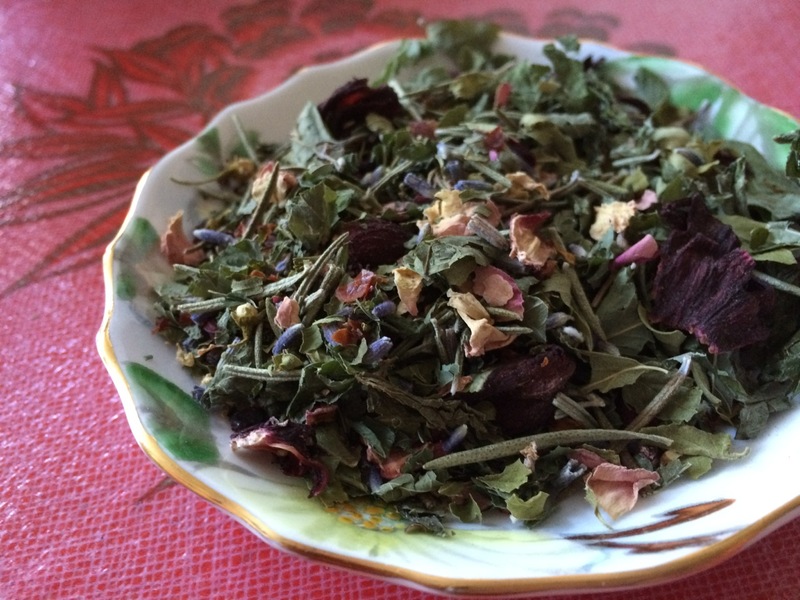 Dried rosemary combines well with many herbal teas including mint, rose, sage and lavender. Try adding a sprig or two of rosemary to lemonade for a refreshing summer drink. Rosemary is surprisingly nutritious. It contains B-complex vitamins including B6 and Folic acid, and vitamins A and C. Vitamin C builds collagen and helps to create strong blood vessels, skin, hair, and nails. Rosemary is a good source of calcium and iron, and also includes the minerals potassium, magnesium and zinc. Rosemary is a complex plant by design. Native to the seacoasts of the Mediterranean, it thrives on wind-swept hillsides with well-drained soil and ocean mist. In order to survive this harsh climate, rosemary produces essential oils and other compounds that protect it from insects, diseases, excessive sun exposure and water loss. When I smell and taste rosemary, it feels like being transported to those sea cliffs. The wind sweeps away my woes, the sun relaxes me, and the sea connects me to the greater mystery of life. In rosemary’s presence, the fog lifts and my head clears. I feel invigorated and hopeful. We all need a trip to the beach now and again, and rosemary is a next-best thing. Blend all dry ingredients. Use 1 Tablespoon of tea per cup of boiled water and steep 15 minutes to several hours. Drink 1-3 cups a day. When Shakespeare wrote, “There’s rosemary, that’s for remembrance. Pray, love, remember,” it was far more than just a poetic statement. Modern scientific studies are beginning to unravel the mechanisms by which rosemary sharpens memory and helps people gain mental structure. It brings circulation to the brain, strengthens capillaries, and protects tissue from inflammation and degeneration. Rosemary contains carsonic acid, which has been linked with counteracting free radical damage in the brain and strengthening eye health. Rosmarinic and ursolic acids found in rosemary have been studied for their anti-inflammatory action. Rosemary also moderates the breakdown of acetylcholine, a chemical that is often deficient in Alzheimer’s patients. Try rosemary for alleviating sore muscles and painful joints. It eases pain through stimulating circulation, relaxing tense muscles and reducing inflammation. Like willow, it contains salicylic acid. Queen Elizabeth of Hungary was cured of painful joints that caused her to have semi-paralysis through drinking a tea of rosemary. This was named “Hungary Water” and became one of the first perfumes. Rosemary can enliven our nervous system. If you are feeling weak, exhausted, depressed or lost in mental fog, seek rosemary for strength and clarity. For millennia, it has been utilized to help clear negative memories and open the way for healing. It stimulates the central nervous system and has a rejuvenating effect, which may help to recover a diminished sense of smell or other senses. Rosemary is rich in essential oils that have antimicrobial action and enhance immune function. It is used in mouthwashes, teas and tinctures for gum health, to fight bacteria and to improve bad breath. The hot tea stimulates circulation and clears congestion from the head and chest during colds, coughs and the flu. It increases circulation to the skin and induces sweating, thereby helping to lower a fever. Rosemary is one of the most widely used essential oils in the world. It takes about 75 pounds of rosemary in flower to steam distill 1 pound of essential oil. In aromatherapy, it is utilized to increase circulation, stimulate skin regeneration, improve memory, ease sore muscles and arthritis, open the lungs, ease spasms and fight infection. It also repels insects including mosquitoes. 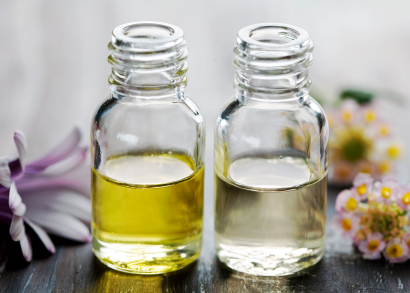 For massage oil and salve, add about 1-4 drops of essential oil per ounce. Add 3-5 drops to the bath and swirl it around before getting in. For an uplifting aromatherapy spritzer, add about 15 drops of essential oil per ounce of distilled water. Rosemary essential oil can vary significantly based on the variety and where it is grown. Some important compounds in rosemary include cineole (up to 50%), alpha-pinene (up to 30%), borneole (up to 20%), and camphor (up to 20 %). Verbenone is also present. You may see these different chemotypes when you purchase rosemary essential oil. Rosemary growing at higher elevations has more camphor in order to survive the harsh climate. In the high plateaus, it can have as much as 20% camphor. 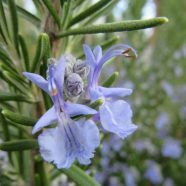 Rosemary verbenone is recognized for helping to thin mucus and for its skin care benefits. Rosemary is a common addition to body care products for many reasons. It increases circulation to the scalp and stimulates hair growth. It is especially recommended for dark hair. You can also make a hair rinse by making a good sized pot of rosemary tea and pouring it over your clean wet hair and scalp in the bath or sink. Use a bowl to catch the tea so that you can pour it over your hair several times. Nettle, sage and horsetail are also used this way and combine well with rosemary. Rosemary helps to repel scabies and lice. Rosemary infused oil, essential oil or hydrosol are excellent additions to sore muscle oil, salves and creams. Rosemary is also used in creams as a beauty aid to reduce wrinkles and puffiness. Because it is so high in antioxidants, rosemary is often added to body care products as a preservative. This toner stimulates circulation and helps to tighten swollen arteries and veins. Try spraying it over spider veins, varicosities and cold skin with poor circulation. Place equal parts of rosemary, yarrow and rose in a glass jar and cover with an alcohol based witch hazel extract. Cover with a tight fitting lid and let sit for at least 2 weeks. Strain with muslin cloth (squeeze it out) and bottle in spray bottles. This toner can also be used as a skin toner. For extra circulatory support add 4 drops of rosemary essential oil per ounce of extract. Shake before spraying. You can substitute witch hazel extract for vinegar or water combined with 20% alcohol. Caution: Rosemary is not safe in large doses during pregnancy, but is not dangerous when used simply as a culinary spice. Ask your doctor if rosemary is safe to use if you are taking anticoagulant drugs, a prescription diuretic or have pulmonary edema. Damian, Peter and Kate. Aromatherapy, Scent and Psyche. Rochester, Healing Arts Press, 1995. Mojay, Gabriel. Aromatherapy for Healing the Spirit. Rochester, Healing Arts Press. 1997. McIntyre, Anne. The Complete Floral Healer. New York, Sterling. 2002. Cheung S, Tai J. “Anti-proliferative and antioxidant properties of rosemary Rosmarinus officinalis.” Oncology Reports. 2007 Jun;17(6):1525-31. Accessed October 16th 2013. Medical News Today. What are the Health Benefits of Rosemary. http://www.medicalnewstoday.com/articles/266370.php Accessed May 4th 2015. Schnaubelt, Kurt. The Healing Intelligence of Essential Oils. Rochester, Healing Arts Press. 2011. Weiss, Rudolf. Herbal Medicine. England, Beaconsfield Publishers. 1988.
but when i read your CV: no wonder why! I found your website today Elise. What a treasure! I am not an herbalist by any stretch of the imagination, and it is never too late to learn, one herb at a time! I have huge Western Red Cedar trees on the urban mountain where I live, in Burnaby, BC.I gratefully and reverently gathered some leaves this afternoon, and cedar oil is in its first warming phase on the stove. The aromatherapy effect of the cedar as I cut it up was like a miracle of pure bliss! I want to use the remaining leaves fora foot soak. You say to use dried leaves for that. Can I use freshly gathered leaves? If not, what is the preferred method for drying the leaves? The depth of your wisdom is such a gift. With deep gratitude for sharing it with those of us who might be interested. Experiencing Rosemary comes next!! Hi Anne. You can use fresh cedar for foot soaks too. Just chop the leaves up fine and they will work great. Happy Gathering! Thank you for creating this, Elise, I have only just come across your site. I’m on the verge of retiring from employed ‘life’ and about to move into the wonderful third age. I’ll still be working as an artist/writer on a freelance basis but not tied to anyone else. At the moment I’m creating a foraging journal for myself and to pass info on to others – will you mind if I copy some of your posts into this ? I will always reference and recommend you. Just love your blog. Thanks for the expertise. Can you tell me if magenta yarrow an ok substitute for common white yarrow? Hi Holly. I do not use the magenta yarrow – it does not have the same smell and taste as wild yarrow. Have a great winter season.